The Foldable Box FB1208 is a collapsible container that offer the strenght and the durability demanded in today's distribution systems. Pallet and lid are strong yet lightweight, the collapsible sleeve made of a triple wall corrugated plastic with sealed edges provides efficient protection. An easy locking mechanism secures the sleeve to pallet and lid. These containers protect product during picking, assembly, processing, storage and distribution in many industries, including automotive, appliances, food and electronics. And are suited to medium-duty and heavy-duty applications. FB 1208 4000 kg [8820 lb.] 2000 kg [4410 lb.] - kg [- lb.] 569 l.
FB 1210 5000 kg [11025 lb.] 500 kg [1105 lb.] - kg [- lb.] 650 l.
The sleeve can be flat pack, saving up to 77% volumes. 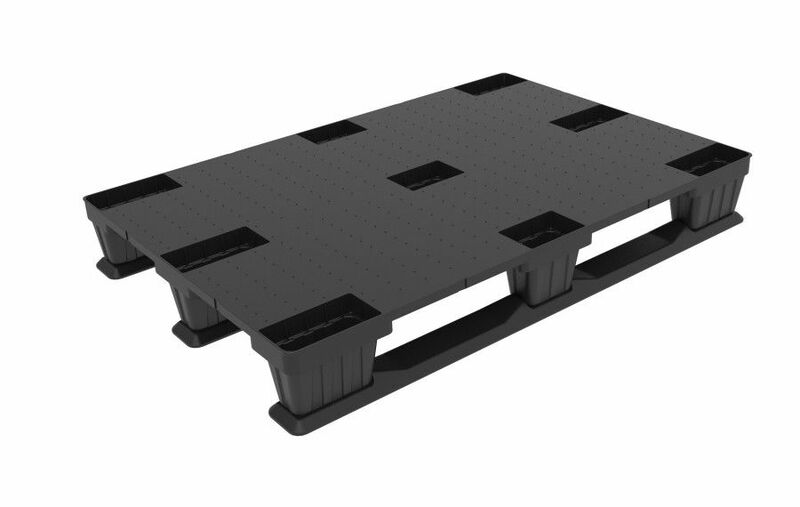 Moreover the pallet component is nestable. The sleeve can feature a drop door for easy load.